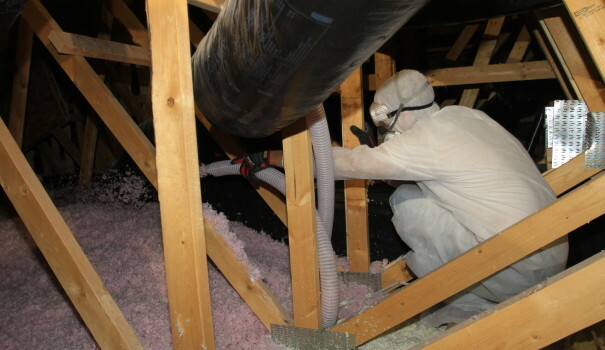 Upgrading attic insulation is usually a top priority for improving comfort & energy efficiency. Read More..
more comfortable environment, all while reducing your energy consumption. Read More.. Improve the performance of your HVAC system with properly sealed and insulated ducts. Read More..
Sealing leaks in a home’s building envelope can eliminate cold drafts and help insulation work more effectively. Read More.. The floor above a garage often needs extra insulation to make the living space more comfortable. Read More..
Insulating & sealing the crawl space will improve home comfort and indoor air quality. Read More.. Improve comfort, energy efficiency & air quality through out the home with this important insulation upgrade. Read More.. Needing to sound proof a room, or just a wall? We can do any type of soundproofing. Acoustic sound proofing or just make the room or ceiling a little quitter. Read More.. If you have an open wall or closed wall there is a way to insulate it. Read More..